I apologize for not posting for so long. In the past two months my family has had almost every type of sickness: fevers, aches, coughing, bronchitis, ear infections, eye infections, skin infections, upset stomach, teething . . .
On top of that, I have decided this is officially the LONGEST WINTER EVER! Here in Utah temperatures are averaging 20 degrees lower than normal, and we keep getting snow, sleet, and rain. I really wanted to start my tomatoes early with Walls-Of-Water, but I simply can’t believe they can survive these weather conditions! The good news is, I have planted my peas, onions, broccoli and parsley and they are thriving in this cool weather! 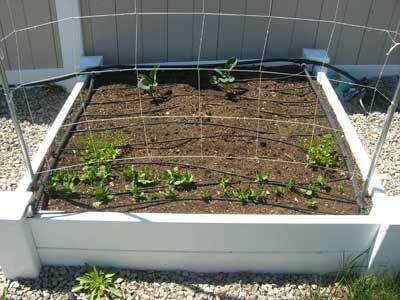 In front by the trellis are the peas–snow peas and sugar snap peas. Next is parsley, and then towards the back are two broccoli plants. This garden bed has onions, onions, broccoli, and more onions. You can see that my onions are about 6″ tall, which means it’s time to fertilize! If you are having the crazy spring/winter weather like I am, follow this rule of thumb: plant according to schedule if the veggies are hardy or semi-hardy. These vegetables will only benefit from the long, cool weather and they can tolerate the dips in temperature. 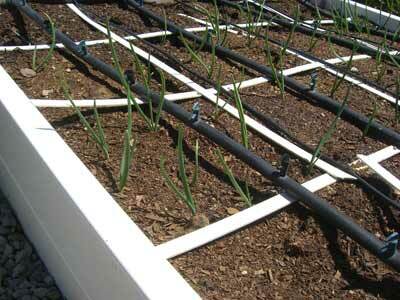 On the other hand, wait to plant tender or very-tender vegetables until there is no danger of frost. 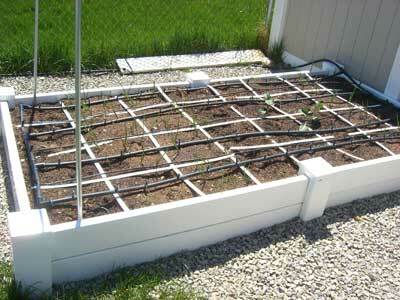 These types of veggies cannot tolerate frost, and for some even cool temperatures will stunt their growth. Many of these vegetables require certain temperatures to germinate the seeds, which is delayed by cold weather. How long should you wait? Well, one way is to ask local gardeners when it’s safe. Around here the rule of thumb is “after Mother’s day” or to be REALLY safe, “after Memorial day.” Another way to do it is delay by about two weeks, and see if temperatures are more “normal” at that time. It’s seems so strange that you are planting cooler weather crops, when here nothing will grow but peppers, okra and a few herbs because it’s been close to 90 everyday. Enjoy your harvest! Hope it warms up soon! We’re going to need a boat here if the weather continues! Luckily, we’ve had no major flooding (that I know of) not like in MO. My transplants are so ready to be outside. I have a few that someone else (professional!) started and they are HUGE! I’ve been hardening them off and some creature already got to the basil leaves. We have squirrels and rabbits- any hints on how to deal with those? Rats. I planted two squares of onions from sets and all but two almost immediately died off. I was hoping this was normal for onions since I’d never done sets before, but it looks like I’ll have to try again in the fall or next year. On the plus side, everything else is going gangbusters!